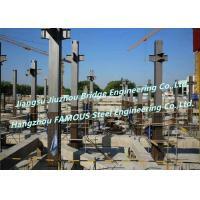 Material: Silica Sand, Cement, Lime, Aluminum Powder, Etc. FASEC Prefab-I panel is one kind of multi-porous concrete forming board which is made of silica sand, cement, lime, aluminum powder, etc. 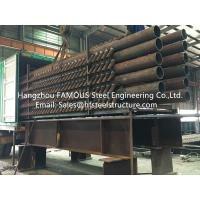 It is the main raw material that is cured under high temperature and high pressure steam with double-layer bidirectional steel mesh in the function of rust and anti-corrosion treatment inside. It can be used not only as the wall material such as the inner wall and the outer wall of the main building, but also the roof and floor panels. While the thin plate type like 50mm thickness can be used as the thermal insulation and fireproof board, which is a new type of building material with superior performance. It can be widely used in concrete structures and steel structure residential, office buildings, factory interior and exterior walls, slabs, roof panels, firewalls, explosion-proof walls, steel beams and columns fireproof panels, sound insulation walls, renovation of old buildings. According to the usage, the board can be divided into partition wall panels, exterior wall panels, roof panels and floor panels. 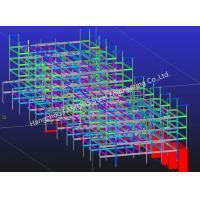 The reinforcement of each panel is determined according to the design load, material thickness and length. Generally available in thickness is from 50mm to 300mm, at intervals of 25mm. The length can be up to 6 meter. 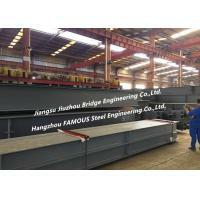 Lightweight: The specific gravity is only 500-650kg/m3, which is only 1/4 of concrete and 1/3 of clay brick. It is known as concrete floating on the water surface. 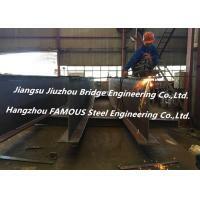 The design value is 650kg/m3. Fire resistance: 100mm thickness board can reach 4 hours, and 125mm thick can reach 4 hours or more. Insulation: The thermal conductivity is 0.09-0.114, and the thermal insulation effect of the 125mm thick material can reach the ordinary 370mm thick brick wall. 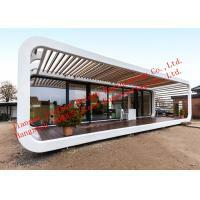 It is a new type of building material that can achieve more than 65% energy saving in buildings with a single material. Sound insulation: The sound insulation index of 100mm thick board reaches 40.8dB (transmission loss). Seismic resistance: It can adapt to large inter-layer angular displacement, allowing the inter-layer displacement angle to be 1/150, which is 1/120 when using special joints. In the case of all joints, the board peeling does not occur when the inter-layer displacement angle is 1/20. Environmental protection: no radiation, its hourly exposure is 12γμ / h, equivalent to the level on the outdoor grass. Bearing capacity: The interior of the board is equipped with double-layer and two-way steel mesh, which can provide external wall board, heat insulation board, roofing panel, floor slab, decorative board and so on. Crack resistance: The FASEC Prefab-I panel is reinforced by anti-rust treated steel bars. It is cured by high temperature, high pressure and steam. It has the smallest shrinkage ratio in inorganic materials and is caulked with special polymer adhesive to prevent cracking. Convenience: The FASEC Prefab-I board is processed by the actual measurement on site and is prefabricated in the factory. 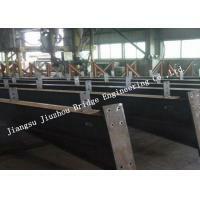 It has high precision, which can be planed, sawn and drilled. Dry work, easy installation, simple process, eliminates the structural columns, waist beams and plastering of traditional walls, greatly shortening the construction period, improving efficiency and construction quality. Economical efficiency: FASEC Prefab-I is used as the wall material, which can effectively increase the building area of the house, reduce the energy consumption, and meet the national building energy-saving standards. Under the same sound insulation and fireproof requirements, the Prefab-I board has the smallest thickness and does not need some auxiliary components such as the structural column and the waist beam, which can reduce the wall load and thus reduce the construction cost. Creativeness: FASEC Prefab-I board can be made into art pattern board. After the material is installed, it can directly hit brick, plaid, horizontal, imitation brick and imitation stone. Universality: It can be widely used in concrete structures and steel structure residential, office buildings, factory interior and exterior walls, slabs, roof panels, firewalls, explosion-proof walls, steel beams and columns fireproof panels, sound insulation walls, renovation of old buildings. Diversity: 50mm thin plate and 37mm ultra-thin plate (can be used for exterior wall insulation board, fire board). Quickness: Eliminate the mixing, masonry, plastering, steel, form work, concrete and other types of work in the traditional block process. Just the plate installer can do all the work, avoiding the conflicts and mutual constraints of the work. When used to build external walls,our products meet all strict requirements made by various countries without use of any other auxiliary thermal protecting materials. Tests show that products with a thickness of 4-5cm perform the same function of thermal protection as one layer of common blocks; with a thickness of 7-8cm.provides the same level of thermal protection as bricks double the thickness. Therefore it is not only a material that can be used to structures, it is also a high quality thermal material. The raw materials used in our products are absolutely non-combustible. Experiment results show that 10-cm thick walls made of our factory could stand against fire for at least 4 hours. Hence,our products have been adopted to make fireproof walls. Test results shows that our products have excellent acoustic performance. Walls made of us could reduce the noise range from 30-52dB depending on the thickness of the walls and different surface disposed. 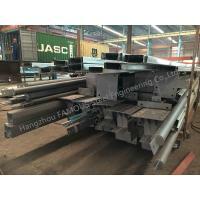 After combining the FASEC Prefab-I panel and steel framing together, as well as considering other pipelines and envelops etc. 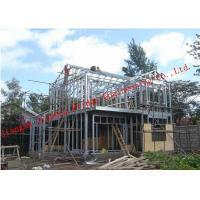 treatment, FASEC steel modular house can be complete in much more time saving way. Compared to traditional concrete brick buildings, FASEC house can save as much as nearly half construction period. 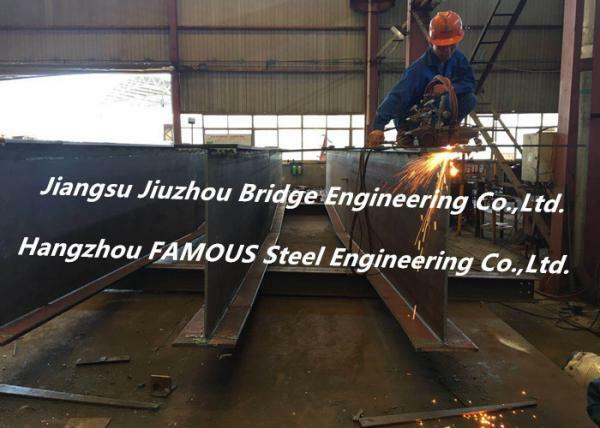 We are able to do various standard fabrication ranging from normal China standard, to Europe standard, America ASTM standard, British BS Standard, Australia New Zealand AS/NZS standard structural steel fabrication and steel based bridge construction upon different clients' requirement.